As renewables are moving from niche to mainstream, the industry is facing a paradigm shift in cost, quality, complexity, and scale — creating opportunities to develop new and different technologies and operating models. 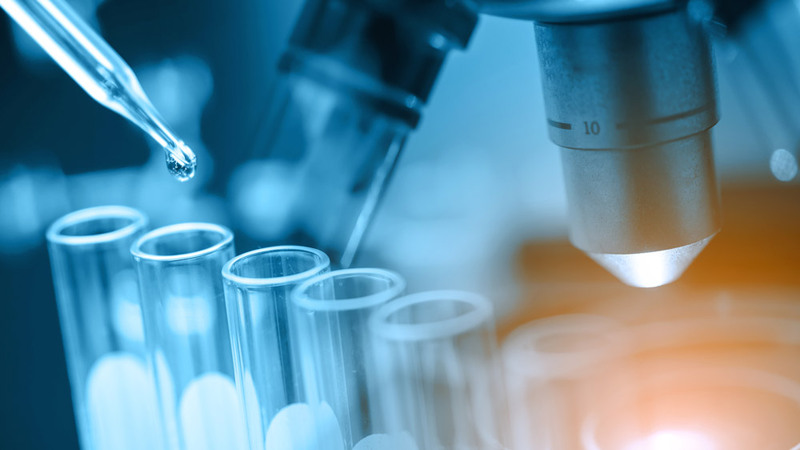 Achieving the next phase of the industry potential will require a further revolution, not only in the laboratory but also in strategy, technology and operations. Some of these organisations have preferred to pivot from focusing on transportation fuels from non-fossil resources towards more tangible chemicals. The idea today is to prioritize bio-based chemical applications in industries. One such sector is ethylene amines with a market worth more than USD 2,000 million. High demand across the industries, such as resin, paper, automotive, adhesive, water treatment, agro-chemical, pharmaceutical, personal care, textile chemical, etc. is expected to boost ethylene amine consumption. The key players in the global ethylene amines market are Akzo Nobel N.V. (The Netherlands), Huntsman Corporation (U.S.A.), The Dow Chemical Company (U.S.A.), BASF S.E. (Germany), Tosoh Corporation (Japan), Delamine (The Netherlands), Diamines & Chemical Limited (India). In 2010, a 50-50 joint venture between the Zamil Group and Huntsman to form the Arabian Amines Company (AAC) resulted in a world scale ethylene amine facility in Al-Jubail Industrial City, Saudi Arabia. The feedstock required by the plant is supplied entirely by companies operating in Jubail Industrial City. The ethylene dichloride (EDC) and caustic soda are sourced from the Saudi Arabia Petrochemical Company (SADAF). Ammonia came from the Saudi Arabian Fertilizer Company (SAFCO), which was made by the traditional Haber-Bosch Process. National Industrial Gases Company (GAS) provided the nitrogen required by the plant. Fuel required by the plant was provided by Saudi ARAMCO. Sea water for cooling the plant is shared with Al Waha Petrochemical Company. A more recent announcement came from AkzoNobel Specialty Chemicals. The two, Arabian Amines Company and AkzoNobel Specialty Chemicals, are unique in their approach and worth comparing. In June 2018, AkzoNobel Specialty Chemicals broke ground on a demonstration plant to showcase a revolutionary and more sustainable technology platform for producing ethylene amines and their derivatives from ethylene oxide. Located at its Stenungsund site in Sweden, the facility marks the next step towards commercialization of the patented technology. The new technology will significantly reduce raw material consumption and substantially improve costs and environmental performance compared to existing processes. The flexibility of the technology will allow selective production of a wide range of end products, enabling the company to expand its amines product offering. The range of ethylene amines targeted by the new technology platform includes diethylenetriamine (DETA) and triethylenetetramine (TETA), which are key building blocks in a number of growth applications such as epoxy curing agents (for wind turbine fabrication), lube oil additives, and oil field chemicals. AkzoNobel Specialty Chemicals is currently operating two plants, in Stenungsund and in Ningbo, China. Currently, manufacturing ethylene amines is dominated by two routes. One involves the reaction of monoethanolamine (MEA) and ammonia in the presence of a hydrogenation-dehydrogenation catalyst. The second involves reacting ethylene dichloride (EDC) with ammonia. AkzoNobel operates two ethylene amine plants in Europe, each of which uses one of the processes. The routes can be summarized in Exhibit 1. Tracing the steps back the overall feasibility would now depend upon the ethanol and ammonia production. The annual global production of ethanol according to the RFA Analysis of Public & Private Estimates was 24.57 billion gallons. Ammonia happens to be the second largest chemical (after sulfuric acid) produced in the world (more than 200 million tons per year). Although ethanol production globally is not of primary concern, ammonia however needs a closer look. Ammonia production uses about 2% of the world’s fossil fuel energy and generates more than 420 million tons of CO2 per year. Approximately 80% of ammonia is utilized for fertilizers, with around 5% for explosives, and the balance for other chemical commodities. Ammonia’s performance as a fuel has never been a question (ammonia dual fuel with liquid oxygen powered the air-speed and altitude record-setting flights of NASA’s X-15 in the 1960s). Ammonia is produced by the highly energy and carbon-intensive Haber–Bosch process, which requires temperatures of 450–500°C and pressures of up to 200 bar. The feedstock for this process is hydrogen from natural gas (NG), coal or oil, and nitrogen produced from air by cryogenic route or pressure swing adsorption (PSA). The share of NG, coal, and fuel oil feedstock for the global production of ammonia is 72%, 22%, and 4%, respectively contributing to approximately 420 million tons of CO2 emissions per annum, representing more than 1% of global energy related emissions. The energy consumed for ammonia synthesis is mainly dependent on the region, plant size, and the source of hydrogen (feedstock). The best practice energy consumption values for NG, coal, and fuel oil are 7.8, 10.6, and 11.7 MWh per ton of ammonia, respectively, and the corresponding CO2 emissions are 1.6, 3.0, and 3.8 tons per ton of ammonia. The Institute for Industrial Productivity publishes the Industrial Efficiency Technology Database (IETD) which benchmarks CO2 emissions per ton ammonia for producers in every region, based on the local feedstock usage. With today’s trend to improve sustainability, ammonia production can be achieved by replacing fossil fuels with renewable energy in the manufacturing process. This is not new. In the past, a number of hydropower plants synthesized ammonia using hydrogen produced from electrolysis as the feedstock. However, due to falling NG prices and increasing local electricity demand, many of these plants have been closed or converted into NG feedstock-based plants for ammonia synthesis. Some of the earliest ammonia plants used only hydroelectric power to produce ammonia from water and air. Several large-scale electrolytic hydrogen facilities have been built since 1928 when hydrogen was first produced via hydroelectric power in Norway. By the 1970s, plants in India, Egypt, Zimbabwe, Peru, Iceland, and Canada were also producing fertilizers from electrolytic hydrogen, the largest of these facilities being a 180-megawatt plant in Egypt. By 1998, only seven hydroelectric ammonia facilities were still active in the world, accounting for roughly 0.5% of total worldwide ammonia production. Limited projects can be seen on wind-powered ammonia production in the last 50 years. Beginning in the early 1960s, wind-powered ammonia production was investigated by the United States Army through an initiative called the “Energy Depot Concept.” Later, in the 1970s, ammonia production using wind power in a stand-alone system was explored extensively by Lockheed California Company and the U.S. National Science Foundation. While both the U.S. Army and Lockheed/NSF found that wind power could be used to produce ammonia, neither constructed a wind–ammonia prototype plant nor discussed the economics of building a wind-powered ammonia plant in any significant depth. In the renewable ammonia synthesis process, hydrogen is produced by electrolysis. The required electricity is generated from a renewable source such as solar photovoltaics (PV), wind generators, or tidal power. The hydrogen and nitrogen from an air separation unit (ASU) are compressed to the required synthesis pressure and fed to the Haber–Bosch synthesis reactor. The cost of the ammonia and the energy input for this route are mainly dependent on the electrolyzer capital costs and operating (electricity input) costs. The energy consumption by this route has been suggested to be in the range of 10–12 kWh per kg ammonia. Note that although the theoretical electric input required to produce hydrogen by the electrolysis of water is ∼7 KWh for each kg of ammonia produced (7 MWh ton–1), the actual electrical input will be higher due to electrolyzer stack component resistive, polarization, and system losses. Current generation electrolyzers operating at 65–70% net efficiency requires 48–55 kWh renewable energy input (LHV) to produce 1.0 kg of hydrogen, similar to the energy input when hydrogen is produced from natural gas (∼45–50 kWh kg–1 hydrogen). Recent industrial examples show the utility of such concepts, and are operating at full scale, with Casale, Haldor Topsoe, ThyssenKrupp, and KBR all developing designs for the integration of their ammonia synthesis technologies with renewable powered electrolyzers. Green ammonia is now clearly established as a commercial prospect. It would be naïve to ignore a possible future joint venture, flourishing between the ethylene amine producers and the four companies developing novel pathways for sustainable ammonia production. The real question is: can ammonia and related chemicals be carbon-free? The ammonia molecule contains no carbon, and yet we make it from fossil fuels. If we can’t reduce ammonia’s carbon footprint, the potential for ammonia fuel to decarbonize global economies is minimal. However, if ammonia can be produced with low or no carbon emissions, it could become the carbon-free fuel and energy storage medium that allows deep decarbonization of global industry, transportation, and power sectors. It is in this context, that we should celebrate the fact that all four ammonia synthesis technology licensors are now engaged in green ammonia production.